This panel was built for Headline Productions to provide central connection point for their D&B D80 amp racks. The panel provides 4 female Neutrik XLR jacks to provide input source signal for each amp. 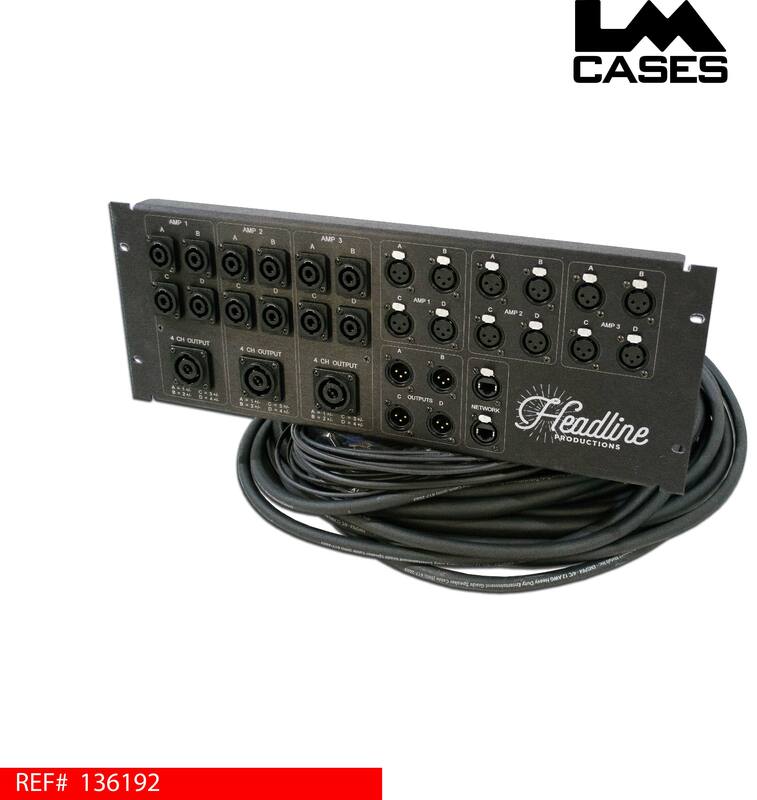 Also included are 4 XLR outputs allowing additional amplifiers to be added if the rack is part of a larger system. Each amplifier bank features 4 individual NL4 outputs in addition to a NL8 output allowing the user the option to use a single NL8 or multiple NL4’s depending on the application. The panel also includes 2 Neutrik network jacks. Each jack has an extension tail that features a heat shrunk label for easy integration with the equipment. The panel is built out of brushed aluminum that is black anodized. All labels are laser etched. 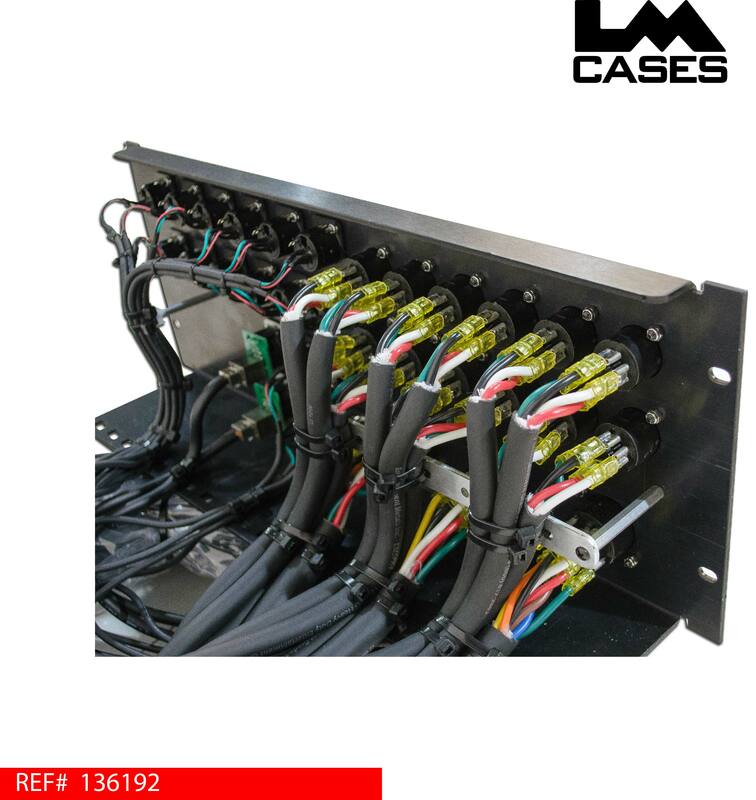 The panel also features an extended bottom flange allowing the heavy gauge speaker cables to be tethered to the panel, not pulling on the solder points/ disconnects. In addition to the extended bottom flange, an additional tether point was added between the NL4 & NL8 banks to provide extra support. Special thanks to Headline Productions!